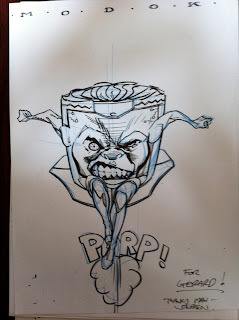 Done for a fan at the recent 2D festival. 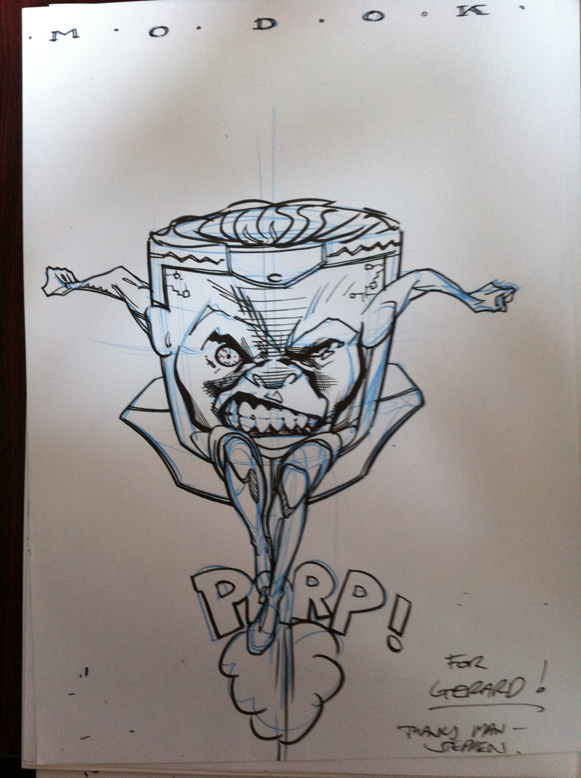 Still have no idea who or what the hell a Modok is. Fun to draw, though. Do Robots Have Electric Thumbnails?